This week’s news covers printed items as well as business news. We begin with a Thingiverse designerr’s practical 3D printed battery holder that comes in three sizes and can be mounted or stacked. Also, a Dutch minister’s 3D printed, funky, high-profile outfit made the rounds near royalty this month during an event attended by heads of state and the monarchy. Also, health-focused 3DPrintClean’s new online store features more products for healthier and cleaner printing environments. Northype plans its Kickstarter campaign soon for a multi-purpose machine called “Adam.” And finally, good news for 3D printing aerospace fans, Windform has passed ESA outgassing tests for a highly durable material to be used in the space industry, inevitably leading to more innovation in that growing sector. Thingiverse’s Battery Holders Seem So Practical! If you are like me, you rip open a package of batteries and use a couple immediately: who cares what happens to the rest! And then later, when it’s time to switch old and new batteries, as I scramble to locate the unused batteries I inevitably get old and new batteries confused. There has to be a better way! Well, there is now that Thingiverse is making available files for your very own 3D printed stackable battery holders from designer Adoniram Sides. Ingeniously designed to fit a specific battery size (that is also emblazoned on the outside of the holder in bold letters and numbers, like “A”) these holders were initially designed for Checkerboard, Ltd. and were a Quirkycommunity.com selected design. I can see why: they have a very practical use. With three sizes available, the holders can be stacked or mounted to a wall. No more fishing around the house for unused batteries. Now you’ll know right where you can find them at all times and that’s a good thing! I guess one way to gauge the popularity of 3D printing is to see where the fashion ends up, and it’s no surprise, considering the popularity of 3D printing there, that the Dutch Minister of Education — Jet Bussemaker — was recently seen sporting 3D printed shoes and clothing at an important political event. This important day is known as Prince’s Day, which occurs the third Tuesday of each September, and includes a national gathering addressed by the reigning monarch and attended by the Dutch royal family. Women’s fashion choices are also scrutinized at this event, and so it was a very appropriate time for the Dutch Minister of Education to show off an outfit by researcher and designer Pauline van Dongen and printed by Technical University Einhoven. This highly secretive project took two and a half months to complete from start to finish, and well, you can be the judge of the latest 3D printed politician look yourself. I am a big fan of the Hunger Games book and film series, and to me it looks like an outfit that Elizabeth Banks’ character, Effie Trinket, might wear. Sort of retro 1920’s but with a definite futuristic flair. The 3D printed fashion future is right around the corner, it seems, in yet another example of its appearance somewhere important. When we covered the company before, we focused on filtration, and now the company has added more devices and accessories to realize its mission of reducing health problems in 3D printing environments. 3DPrintClean has also just launched its online store on September 14th with shipping calculations ready on September 17th. You can go to the Order tab of the website to check out prices for filtration scrubbers, printer enclosures, various kits, and more. In a few weeks, 3D printer manufacturer Northype plans to launch a Kickstarter campaign for its new 3D printer, Adam. 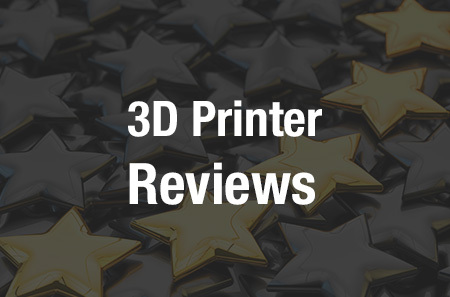 Advertised as “The 3D Printer You’ve Been Waiting For,” Adam is special “because thanks to interchangeable headtoolset, it’s a 3D printer, laser/engraver, mill machine and 3D scanner. The headtool platform is open source so everyone can design a tailormade headtool.” (This is according to Leonardo of Northype.) Functioning as a 3D printer, mill, and laser/engraver — we will soon see how in demand the “Three Faces of Adam” is for our 3D printing/Kickstarter public. On would guess that its low price, at €899, is going to be quite attractive to many makers. Not to mention that if the machine is versatile enough to make high-quality objects, it could be an instant hit or cult classic. Stay tuned. CRP Technology and CRP USA‘s Windform manufactures highly durable materials that can be used during additive manufacturing to build prototypes and objects for aerospace, automotive, architecture, marine, medical, and motorsports sectors. The company has announced it has just passed European Space Agency (ESA) outgassing tests for both coated and non-coated samples of its Windform XT 2.o — a top performing SLS material — to be processed using high-precision CNC machining and used in the space industry. This is great news for the company as it plans to further transform into “real applications” materials that were not even available just a few years ago. You may have already heard that a case is pending in court featuring Stratasys vs. Afinia, and now, Afinia’s Chinese partner, Tiertime, manufacturer of UP! series of 3D printers, has opened a lawsuit against Stratasys’ UCRobotics. This lawsuit alleges that the way UCRobotics rolled out the MakerBot Replicator 3D printers in China is an infringement on two of Tiertime’s patents. Tiertime seeks economic loss and legal cost damages, and the company also wants an injunction against UCRobotics. Since Stratasys owns MakerBot, this lawsuit is related to the court battle underway between Stratasys and Afinia in North America. The case between Tiertime and UCRobotics will be decided in the Beijing Intellectual Property Court, and the North American case, Stratasys vs. Afinia, has a December trial date. Clearly, these are cases to watch for anyone concerned about maintaining healthy competition for companies in the 3D printing industry. 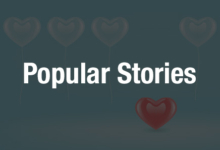 Which of these stories were your favorites? Let us know in the 3D Printing Stories We Missed Forum thread on 3DPB.com.